We have mentioned the twelve Vasati laws in the introduction to the twelve Laws of Vasati in earlier posts and here we are describing the Fourth of the Four Energetic Laws in more detail. 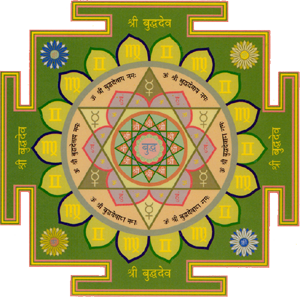 There are always many questions about the scientific foundations of Vastu, by understanding these Vasati Laws we can come to appreciate the authenticity of this science. 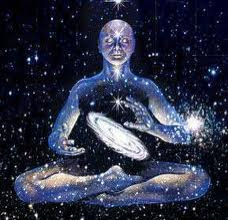 The Fourth basic Energetic Law of Vasati follows on from the First, Second and Third Energetic laws and it shows energies change in various areas of any given space. This law corresponds with the Second Law that divides given energy fields (within land, buildings and rooms) into areas with positive energy potential and areas with negative energy potential. This consists of three principles that show how the particular energy potential behaves under the influence: of Water (first energy principle), of Weights (second energy principle) and of available Space (third energy principle). Where should water be placed? The first energy principle is that water increases the energetic potential of any given sector. If water is in an area with positive energy potential, the positive energy of that sector is increased. But if water is in an area with negative energy potential, the negative energy of that sector is increased. Thus water is an energy store and amplifier that receives and emits energy. This quality of water has been confirmed by water researchers like Viktor Schauberger, Theodor Schwenk as well as by modern biophoton research (Popp, Ludwig). Thus this natural law of nature guides as to where on a site or in a building water tanks, ponds, cisterns, or waterfalls are best positioned. water in the North, Northeast and East are generally good for enhancing positive energies. However water in the South, Southwest and West mostly attracts, supports and even amplifies negative energies. Where should weights or heavy items be placed? The second energy principle is that weight diminishes the energy potential of any given sector in which it is placed. Thus one side of this rule is that heavy items or weights should ideally be placed in the South, Southwest and West of a site or building because it naturally reduces the negative potential in those sectors. The other side of this rule is that heavy weights or items in the North, Northeast and East should be avoided because such weightiness in these areas obstructs the positive energy flowing freely from these directions. Thus in following this principle the Southwest of any room, building and land should be the ‘heaviest’ in weight. Where should there be more space? The third energy principle is that the available space increases the energetic potential of any given sector.The general principle is that the energetic potential of any given area becomes stronger if it occupies more space either vertically North or horizontally East. if for example the East area of the house’s plot has more space than the West, the positive energy potential of the East will blossom more than the negative energy potential of the West. In this respect the energy balance of such a house is positive. Similarly if the house is positioned more to the South of its plot than the North, leaving more space in the North, the positive energy potential in the North can manifest much more than its negative counterpart in the South. How should the building site slope? Thus from this third energy principle comes the natural law that buildings should be erected more towards and upon the Southwest area of a site. This positioning ensures that the negative potential is weighed down or contained and thus the positive areas are free to manifest. It also follows that there should be bigger rooms in the Northeast of the house than in the Southwest. The same rule applies not only to the horizontal extent of the room, building or site but also to its vertical extent.This rule governs that the site should be lower in the East than the West, so that the positive energy potential of the East has more space than the West. This leads to an overall energy balance. The North should also be lower landscape than the South so that its positive energy potential is greater than the negative energy potential in the South. Thus the Southwest should have the highest landscape or height in any given space, and can slightly slope downwards towards the North and East, thus leaving the Northeast as the lowest point. The Northwest needs more space than the Southeast because outer movement manifests as air and is a positive characteristic of the Northwest. In the Southeast, the movement of energy manifests itself internally in the form of heat and fire. That is why the Northwest should be a little lower than the Southeast and not have heavy weight since that would block its outer movement of energy or air flow. The Fourth Basic Energetic Law of Vasati not only addresses the best places for slopes and the best positioning of buildings upon a plot of land but also shows the best directions in which to have extensions when extending rooms, buildings and sites. This indicates that extensions in the South, Southwest and West should be avoided whereas extensions in the North, Northeast and East are intrinsically positive.